Do Kids Miss Out While Parents Heal? My childhood sexual abuse used to be something I rarely thought about. In fact, most of my time was spent finding ways to stuff my memories and feelings, doing anything I could to distract myself. I compulsively exercised, cleaned morning till night – anything to not think. Even though my past was something I rarely thought about, it affected my day to day life more than I knew. This became evident to me when I had children. More specifically, when my girls reached the age I was when my abuse started. I tried to ignore all the new feelings that came up, but with little success. I eventually decided to seek help when I found out that someone close to my family might be a sexual predator. I didn’t want my children to ever be hurt the way I was, and knew I needed to learn more about abuse so I could better protect them. That is what led me to OSA. I started asking questions, talked to other sexual abuse survivors, and I read everything I could get my hands on. This helped me feel capable to handle the problem with the possible abuser. I have kept my kids away from that person and drawn strict boundaries as to who can be around my children. The thing that I didn’t expect is, what started as a journey to be a better parent began to make me feel like a worse one. The more I read about abuse, the more of my own feelings came up. It was hard to focus on being a mom when I felt so overwhelmed. I didn’t want to be touched or climbed on when I was going through so much. My self-doubt started telling me that I was being a bad mother to focus so much on myself and my healing. I thought things like “My kids are only young once and I’m missing out on this time with them by being sad all the time”. However what I’ve come to realize is by taking the time I need to heal, I am being the best possible mom I can be. I am learning how to keep them safe, as well as bettering myself as a whole. Now that I’m a little further along in my healing, I’m noticing benefits to my healing work that I never foresaw. One of the biggest changes is how openly I can talk to my kids about abuse, or about anything for that matter. In the past I was just as scared to talk to them about abuse as my family had been to talk to me. But now I have a monthly practice sessions with my children about what to do if anyone approaches them or touches them inappropriately. Even more importantly than teaching them ways to protect themselves, I have let them know that if something terrible ever does happen to them, they can tell me and I will support them. I know that my kids feel supported in a way that I never did with my family. Not only is that healthy for them emotionally, it helps protect them from abuse. They know what healthy love looks like and are less likely to be fooled by the fake “love” abusers offer as part of the grooming process. On top of the safety of my children, there have also been several other benefits to my healing. I’m more confident and my kids are also becoming more confident. I’m happier and therefore they are happier too. 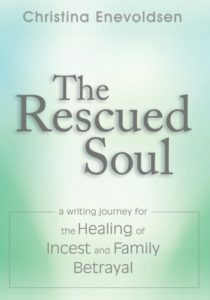 Beginning to heal from sexual abuse was the best thing I could have ever done as a mother. If I could do it all over again, I wouldn’t change a thing. Jennifer Stuck is whole-heartedly pursuing physical and emotional health and is determined to heal the wounds of her childhood sexual abuse. She loves to write, especially poetry. She is currently studying for a career in Physical Therapy. When she isn’t in school Jennifer is at home spending time with her two beautiful daughters. The downside to my healing when it comes to my kids is that they don’t necessarily like me as much as they did before. When I was “checked out” I didn’t enforce the rules consistently and I faked that I was OK. So it was pretty peaceful albeit unhealthy. Now that I’m “checked back in”, I’m enforcing rules that they don’t like and I’m telling the truth about not always being OK. I know I need to heal and I’m glad I’m doing it and I do believe it is making me a better mother, but my kids aren’t so sure they like the new mom and that breaks my heart. Gabrielle it may take them some time to adjust to the new you. I found my kids throwing coins into the pool like it was a wishing well saying “I wish mom would relax.” lol. They might not realize how much our healing is benefiting them now, but they will still reap the benefits and hopefully thank us later. Gabrielle, kids don’t like rules no matter if you have been abused or not. There just comes a time when Moms are not as popular as friends are, and all rules are hated. Hang in there.. I agree with Linda and Jennifer. Loving your kids in tangible ways sometimes means they don’t like you. That’s part of parenting for survivors and everyone else. Hang in there because it does get better. Your kids are FAR, FAR more likely to like you later if you do heal and do what’s best for them now than if you continued with unhealthy patterns. It’s painful now, but I can tell you from my own experience that the pain of not dealing with abuse issues while my kids were young caused so much more pain for all of us. Thank you Jennifer, Linda and Christina. I have so much respect for each of you and I’m taking your words to heart! 1. She raised me to be fearful. She couldn’t name her terrors, but she passed the terror on to me. I was raised under a shadow that I couldn’t understand. 2. She raised me to think like a victim. If something bad happened, I learned to examine it and place the blame upon myself. I also observed powerlessness in her and imitated it. 3. I had a completely skewed perception of men, and friendships between men and women. 4. I took it on myself as a child to try to protect my mother, somehow. I tried to become the parent during difficult times, which was tricky since I was also wanting to please her by being fearful and powerless. Lizette that is word for word like my childhood. I don’t know if my mom was abused or not, but there are lots of signs that she was. I feel a lot like you do to. I care about my mom, but I know that she could have done things a whole lot better. I’m just glad I get a chance to break the cycle before it effected my own kids. My only regret about healing, especially for my children, was that I didn’t do it sooner. i hit at it for a while and then I would stop. it did get overwhelming and trying to do it while raising the kids gave me an excuse to lay it aside. But, I realize now that was the worst thing I should have done. I was still very fearful that i would lose their love and I was fearful about talking to them about my abuse. I wish I could change things, but I can’t, but I believe that If I would have continued on with my healing, even when it was overwhelming, that my children would have told me about their abuse, or been able to stop it early on. Patty that’s very honest of you to share. I don’t know if your kids would have told or not, but I certainly believe having open communication makes them more likely to come forward. I’m doing my best to make the subject of abuse natural to talk about with my kids so they aren’t scared to bring it up if they needed to. But lets hope they never need to! Bongo, I don’t think it’s ever too late for your healing to benefit your children. Even if they’re grown, they can still learn from watching you. I’m in awe of the great relationship Christina and Bethany have formed as adults (They’re the mother/daughter duo who started this website). No need to apologize, thanks for sharing your thoughts! @Lisette, what you have shared here is so helpful. I feel for you and your mom and I appreciate you sharing. It hits home for me and touches my heart. @Bongo, I feel the same way and I have to fight those feelings too. I do agree with Jennifer that it’s never too late to help our kids though. My sisters kids are grown with families of their own and due to the abuse… she wasn’t there for them and they suffered a great deal because of it. She is making amends now and healing and helping them to heal too. It isn’t too late but I hear you when you talk about the enormous loss and grief about what could have been. Take heart and keep on keepin’ on! Hi! Jennifer, love what you are doing. I am also a sexual abuse victim & i’ve come a long way to be where i am now. I used to keep everything to myself only to end up destroying my own life. I then seek help from psychiatrist & psychologist and am now a counselor for abuse victims. I will be getting married soon & it will be an undeniably new experience for me. Thank you for sharing as it will definitely help me in my new journey..
mmm, i think that if i hadnt of had 10yrs of recovery under my belt that my daughter would have had a real different start in life. i read and researched how to be a good parent by going on the internet and going to classes on stuff, but i still became the screaming person when she hit 18mths old. her NO’s where defiance and misbehavingnot just her growing up. i hated her not doing as i thought she should, so back onto meds and into talking therapy (again). i found a really good lady who i saw for 18mths till she retired and she helped me loads and gave me the confidence to keep trying to be the good paretnt i wanted to be and forgive myself when the base training came out in me. knowing how to do it differently than my parents has come with stressors of its own but i think my child has a better life than i ever had, so must be doing something right even if i dont see it. now i try and discuss problems with my child, who is 8 now, and place blame either way on who it lays and not let her temper or fears fester like mine were allowed to do. if she accuses me of not caring or being to harsh i will deal with it, not shouting like mine would have , but by listening and explianing to her. Shakila that’s so wonderful that you’ve managed concur your abuse and live a successful life in spite of it. I’m sure all the work you have put into healing will make a world of difference for you’re children, if you chose to have any. Thank you so much. Am looking forward to learn more from you and all the wonderful people.. Thank you again for another powerful and important post. This is something I continually struggle with. My issues and my healing from them affect my family in a multitude of ways and I do feel guilty. 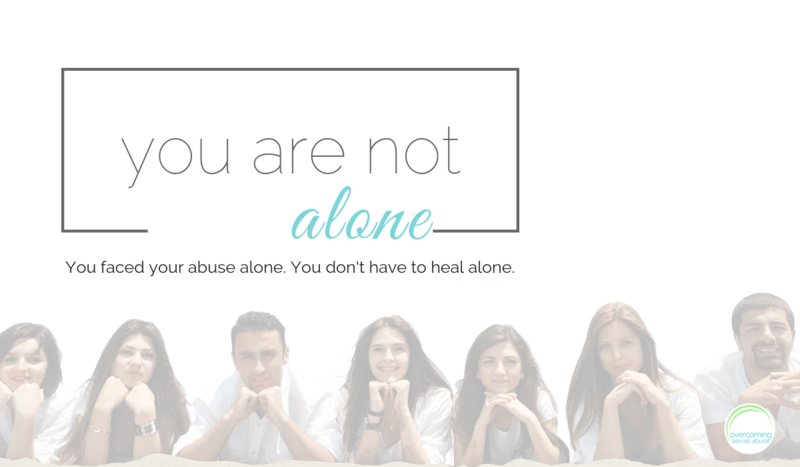 I wish more than anything that I was never abused so that my husband and my children had a “normal” me instead of the damaged me. I carry guilt with me as a constant companion. My hope is that someday I will be rid of it, but I haven’t shaken it yet. I also admit, I have a lot of anger. I am kind of pissed off, no, really pissed off, because I did nothing wrong, yet my kids have to deal with the fallout of my abuse anyway. I could easily get stuck here, in this place of place of anger and unjustice, but I know enough to realize it will do me no good. I also have a lot of fear that I am still dealing with. Mainly the fear the my children will be abused too. I have established a lot of boundaries that other mothers might see as over protective or ridiculous. As in no sleep overs, etc. I would love to hear about your fears for your children (I am assuming you have dealt with a lot of similar fears as me) and how you have overcome them. Also I would love to hear more about the boundaries you have set up to keep your children safe and how you talk to them about your abuse and protecting themselves. One specific question I have is how old were your children when you began talking to them about these issues? I guess I am still questioning myself. Part of me feels more whole, like I can enjoy things and feel more whole then ever before. But it seems like most of the time I am constantly worrying, about everything. Money, am I doing everything right with my son, am i in the right kind of relationship, is she good for me and my son? I feel as though maybe I haven’t been healing for three years, that maybe I am making the same mistakes time and time again, or that maybe I AM healing, but just keep hitting a block and need to go over it. Is this normal? I feel that my life consists of working, and trying to manage my family. And all three of us have issues. But my son’s teachers say he is very happy and outgoing, I seem to get a very frustrated boy that is giving me negative attention all the time. And I feel as though I am neglecting him. I just started witha new trauma specialist who has dealt with ptsd and childhood traumas for 15 years. So i am hoping she can guide me. I know I don;t have a good support system. I mean yes I have family helping to watch him, pay some bills and let us live in our apartment rent free. But I feel like a failure? Is this helping me or hurting me? So many questions. Obviously I have trouble trusting myself. Am I really NOT healing? Not sure. I know that people trigger me, a lot. And I feel a lot of shame, and like a horrible person. Others don’t see me that way. But I do. And I am very paranoid as well. I just really hope that my son isn’t getting messed up by my problems. I do talk to him about it, and try to make him understand that mommy has problems she is working on, but that its not his fault if I am out of it, or grumpy, or sad. I hope that reassures him. I also have a lot of trouble trusting others, and feel as though I keep him over protected. I am afraid other kids’ parents will think I am a bad person, or that they might hurt him. I guess its good I am aware. I just am not sure how to get over these scared feelings. I do talk to him a lot about protecting himself though. And we role play “what ifs” and he always gets them right. So I guess thats really good too. Okay I am done rambling. @ CD. Wow you read my mind. I feel so much better now that I am not alone. I too get SO angry about my abuse. The fact that I could be so much further in life than I am. I could have been to graduate school by now, and my son could have a happy healthy mom who felt safe in the world. And we wouldn’t have money problems. ect ect. But then again, our kids will know that the world is not a safe place — not saying to make them afraid to live in it — but make them aware, and of how to protect themselves. Because it seems that these days, anything can happen, and maybe its not so bad to know that it can happen to us or our kids, and educating our kids on how to handle bad situations. Good luck to you all. And obviously we are not alone. So I have 2 daughters (2 and 4) and I am in the midst of my 3rd therapy. This time I am going through lifespan integration and it has helped. I have started working on much deeper levels which is good. I also have learned what my triggers are. My question is, how can I parent well, raise my little ones to have a strong self esteem while going through all this. While I recognize my triggers (lots of them are control issues) I don’t always handle them well and I get so irritable and lose patience over nothing. My daughters are too young to understand. My older one is very sensitive to other peoples feelings and as soon as I have a bad day, I can see it affecting her. Then I feel guilty and bad…My therapist tells me to take a time out, breathe and explain to them, sometimes mommy needs a time out as well. Yet, I am tired of being the one with all the issues…I guess I am preaching to the choir…Any tips? I love my daughters more than life itself and I want them to be strong with a healthy self esteem but how can I teach them when I am struggling myself? having a support network (if possible) that can step in when you need to nurture you for a while could also be helpful. You are walking your journey of healing is amazing, the children will benefit from this also.